NEW YORK, NY--(Marketwired - Apr 21, 2015) - Dental fear is estimated to affect approximately 50% of the American population and can significantly impact the health of these individuals over time. When people feel nervous or anxious about going to the dentist, they may delay treatments or avoid them altogether. As their untreated conditions worsen, even more serious health concerns can develop. Dr. Michael Kosdon, a Manhattan cosmetic dentist, says sedation ("sleep") dentistry can be an option to help patients who suffer from this potentially debilitating anxiety. For the many people affected by dental fear, sedation dentistry techniques can facilitate a relaxed and worry-free environment as well as a virtually pain-free treatment, allowing them to undergo dental work they may have been avoiding. Dr. Kosdon says the numerous benefits of sedation dentistry can effectively address dental anxiety and give patients a more pleasant experience. He notes that untreated dental conditions can lead to tooth loss or even life-threatening disease, and with sedation dentistry, anxious patients can feel comfortable getting the care they need and the smile they want. During an initial consultation with the patient, Dr. Kosdon says he will perform a comprehensive evaluation to determine the best sedation dentistry option for one's individual needs. Those options may include oral conscious sedation, in which the patient takes a small pill one hour before treatment. The pill should give them a feeling of deep relaxation -- almost to the point of sleep; however, the patient will be conscious and able to communicate with Dr. Kosdon during treatment. The patient's vital signs are also monitored throughout the entire procedure. Dr. Kosdon says this method is often very effective, and patients can become so relaxed they may not even remember the procedure taking place once it's finished. In cases where the patient requests or is eligible for anesthesia techniques that give them an even deeper form of sedation, Dr. Kosdon says the practice has a certified anesthesiologist to oversee the anesthesia component of the procedure. He notes that the initial consultation should determine which technique is best-suited for the individual, as the patient's complete medical history and any current health problems will need to be taken into account. Dr. Kosdon says, while one technique may not be ideal for a patient's needs, another may be able to serve as an effective alternative. The idea, he says, is to let people know they have options when it comes to dental treatment, and that they needn't sacrifice their oral health to dental anxiety. 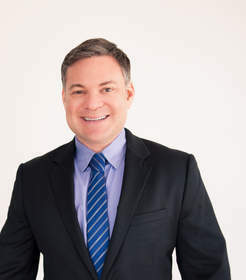 Trained at the Las Vegas Institute as well as the USC School of Dentistry, Dr. Michael Kosdon is an active member of the American Academy of Cosmetic Dentistry and the American Dental Association. With practices in both California and New York, Dr. Kosdon offers porcelain veneers, teeth whitening, dental implants, full smile makeovers, and many other cosmetic and restorative dental care options to his patients in New York City and Beverly Hills. Dr. Kosdon is available for interview upon request. For more information about Dr. Michael Kosdon and his practice, please visit smilesofnyc.com or facebook.com/SmilesofNYC.